Below you can view all the homes for sale in the Brentwood subdivision located in Conyers Georgia. 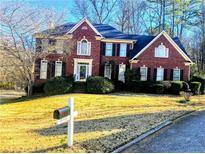 Listings in Brentwood are updated daily from data we receive from the Atlanta multiple listing service. To learn more about any of these homes or to receive custom notifications when a new property is listed for sale in Brentwood, give us a call at 404-998-4166. Don'T Miss The Beautiful Community Cabana & Deck, Pools & Slide (Join The Swim Team! 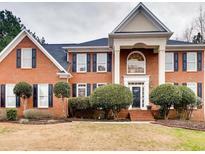 ), Tennis Courts, Volleyball Court & Playground! MLS#8564449. Rentals Work.Com Llc. Please Allow 24 Hour Notice On All Showings Scheduled Through Showingtime. MLS#6520914. Solid Source Realty, Inc..
A Spacious 2 Car Side Entry Garage Adds To The Appeal Of This Beautiful Move In Ready Property MLS#6517618. Sellect Realty Llc. Trey Ceiling In Entry Foyer, Garden Tub With Separate Shower, Stainless Steel Appliances, With Hardwood Floors And Ceramic Tile. MLS#6501917. Bhgre Metro Brokers. Lovely Renovated Family Home - 4 Bedroom - 2.5 Bathroom - New Kitchen Floors - Office Space - Mirrored Walls - Large Master Bedroom - Beautiful Master Bathroom With Separate Bath And Shower - Exercise Room On Lower Level - Attached Garage With Lots Of Storage - Backyard Features Patio And Large Deck - Just A Walk To Neighborhood Pool, Tennis Courts, Volleyball, And Playground - Near Tons Of Shopping And Restaurants - 5 Mins From I-20 2 Hr Notice Required Please Send Showing Request Through Showing Time MLS#8522716. Keller Williams Rlty Atl. Part. This Is A Must See! Bring All Offers! MLS#6112493. Palmerhouse Properties. Brand New Kitchen Appliances And Countertops, Opens To Family Room, Deck Overlooks Greenspace...Large Master With Sitting Room, Huge Master Bath, Full Basement, Garage And More. MLS#6107566. Prestige Brokers Group, Llc..
May Not Be Suitable For Va/Fha Unless You Have 203K Funding. Investors Welcome. MLS#8476404. Dailey & Assoc Cert Brokers. Home Comes With A 30-Day Buyback Guarantee. Terms And Conditions Apply. MLS#6090841. Opendoor Brokerage, Llc. 2 Car, Auto Garage Door, Garage, Attached, Side/Rear Entrance, Off Street.. Great Buy Great Location. MLS#8409653. Citizens International Realty.